It’s Friday and hallelujah. Not just because it’s the end of the week. But also because I discovered an open hole in my schedule, with the entire day free. And the lure of sunshine coming though my windows was all the prompting I needed to grab my market bag and take a leisurely stroll to the outdoor market on the boulevard Richard Lenoir (M: Oberkampf, Tuesday & Friday). After one of those never-ending winters, it was nice to be able to walk in the sunshine, sans gloves and not being all bundled up in a wool overcoat. When I arrived, the market was teeming with people who obviously had the exact same idea (although don’t know how they got a day off as well), and I was squinting in the sunlight, taking in the fruits and vegetables, noting the changing of the season. 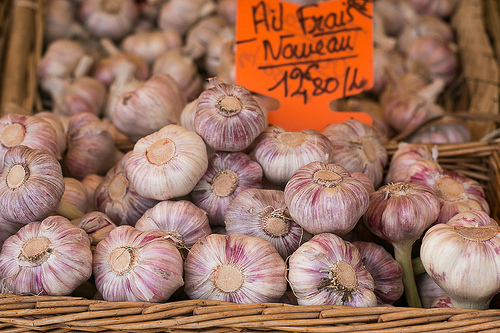 In addition to being able to go out without gloves and an overcoat, another sure sign of spring in Paris is ail nouveau, or “new garlic.” Garlic has a season and it’s starting right now, with violet-hued heads of garlic, piled up in baskets. New garlic is slightly soft, without any of the harsh pungency of garlic that’s been stored for months and months. It’s beautiful and wonderful in aïoli. 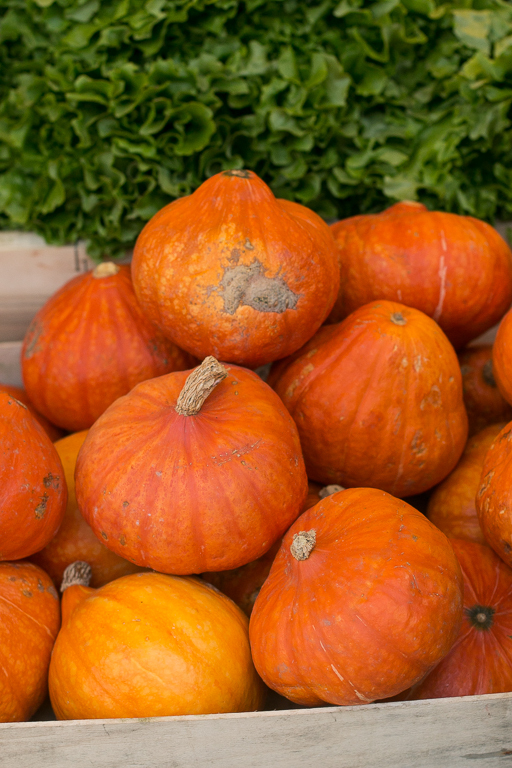 While squash is considered a winter vegetable, all the stands seemed to be carrying small potimarrons, whose name is a mash-up, reflecting their pumpkin (potiron) and chestnut (marron) flavors. Perhaps it’s time to use ’em or lose ’em? I like them roasted and the small ones are particularly attractive when served that way. Since the weekend is coming up, when I saw the hunk of rostello at the charcuterie counter (ham roasted with herbs), when I made my way to the front of the line (and no, I didn’t try to cut), I asked for six slices. 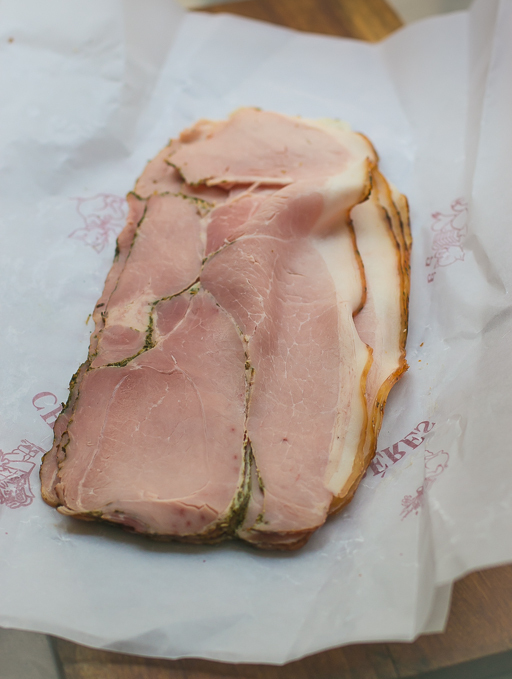 They often slice ham very thick in France, much thicker than I like, which – being a skeptic – I used to chalk up to them trying to sell you more ham. (Six hefty slices is a better way to sell more ham then six thin slices.) But I don’t like ham that is too thick as it’s hard to chew, even though Romain told me that that’s the way French people like their ham, which is why they slice it that way. 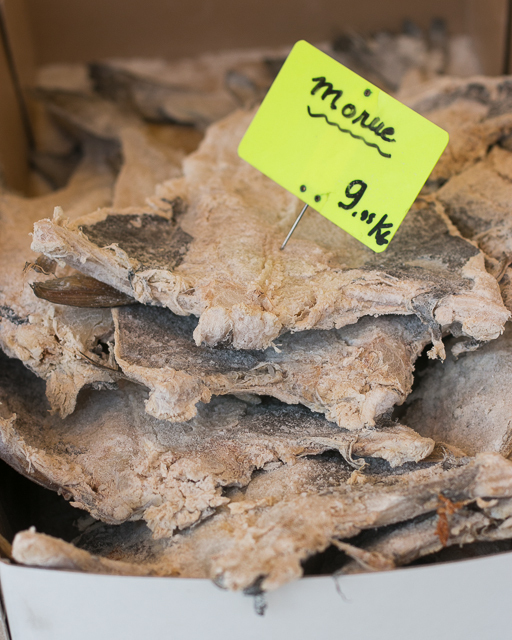 You can usually smell salt cod from a few feet away and even though it’s available all year round, I thought these craggy dried fish were particularly interesting. You need to soak them for a day or two in several changes of water, not just to soften them, but to get most of the salt out. Then you can make brandade (salt cod mashed with potatoes, garlic, and olive oil) out of them. I didn’t buy one today, but I like to stop and look at them. 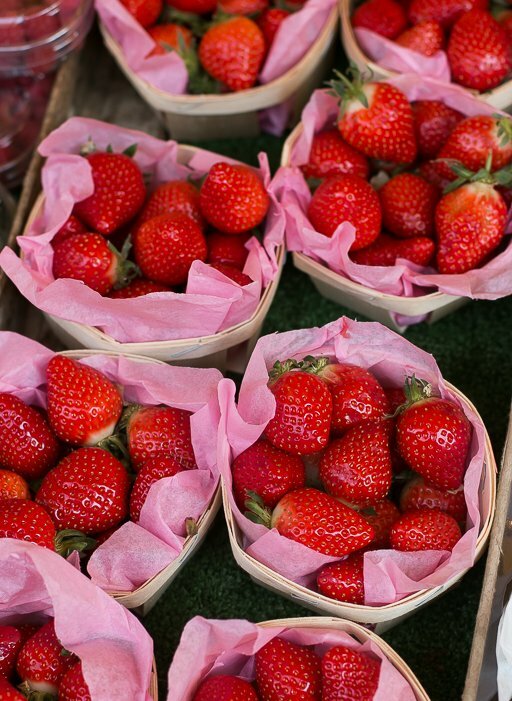 The first fruits to spring in Paris are always strawberries and while the initial offerings come from points south, namely as Morocco and Spain, Parisian gets very excited to see gariguette strawberries. These aren’t as pointy as other gariguettes – and I can’t imagine the vendor selling them as gariguettes if they weren’t true gariguettes, but I thought they were pretty stunning lined up in their little wooden baskets lined with rosy tissue paper, no matter what you (or they) call them. I’ve got bag and bags for days, due to a combination of things. But mostly because people seem to bring me shopping bags from the around the world, which makes me a little suspicious that they think I need more bags – which leads me to think that they think I have so much baggage? But I’ve always liked these mesh French shopping bags and used to have one. While they are pretty, they’re a little hard to use. For one thing, the handles are too small. And some are too long and drag on the ground when you carry them. So you have to hold them up high when you walk, higher than waist level – like mid-chest level, which made me look a little silly. Plus things get caught on the mesh filaments when you walk, and I’ve been snagged by a few things (and on a few people, who weren’t amused). Still, seeing them on the way out was a sweet little reminder of how fortunate I am that I’m able to shop at a market like this. And how nice it is to have a day off, with beautiful weather, to do so! No spring cheese? I love this market thanks to your recommendation. Happy spring. Wait, I thought Richard Lenoir was Thursdays and Sundays? I just did the same thing on Wednesday. Overspent as usual. Disappointed in the strawberries so far. Got up sold 2 large boxesof Spanish ones but discovered them to have no taste. Flavorless. You can always tell good strawberries because you smell them first. It should be an overwhelming smell. Otherwise they are just tasteless and sugary. They can only get better! Thanks for a beautiful “promenade” in the Richard Lenoir market. It’s right by my house, and I try to make it to the Sunday one as often as I can, although Aligre might be a bit closer to me. Your ham anecdote about butchers trying to sell as much ham as possible made me smile widely as I’ve been in that situation so many times. My French grandma always had thick ham at home, so I think it’s a question of what you grew up with…the shaved ham that you get in the US is certainly as thin as “papier à cigarette”, if not thinner. Carlos: I’ve got an overload of cheese (as usual) so just stocked up on a few other things. Chloé: I like the marche d’Aligre too. I used to live closer, but I still go over there as often I can make it. Des: I don’t buy strawberries (no matter what part of the season it is) unless I can smell them. And yes, best to wait a few more weeks into the season for better ones. I knew I’d been at the same market today when I saw your photo of the beautiful strawberries! They smelled wonderful too. You lucky one, a day off and off to market! I started to sew my own bags – it is really easy and you get one of a kind (and you decide how you want them – according to what size /how long etc. 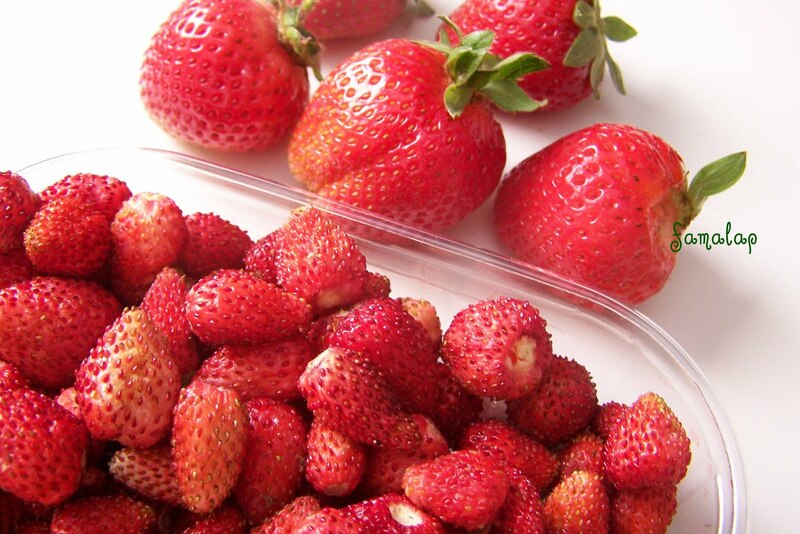 Anyway, most Spaniards don’t start buying any strawberries, even from Huelva, until around April. I suppose the ones we get in April here will be tastier than the ones shipped to Paris, though. Thanks David for this little slice of Paris on a grey “sprinter” day (that would be spring disguised as winter). Beautiful. My marché in Bordeaux had the first green asparagus today…not only that, they were nice and thin which as you know is not easy to find in France. I was so excited that I bought 3 kilos and now my family will be eating it with every meal this weekend! Here in Cleveland spring has been a teaser, with a day in the 50Fs followed by weeks in the 20sF. I’ve managed to find awesome produce and meats in our farmer’s markets, but I can’t wait till the season is in full gear to enjoy the real deal! There is nothing like open-air markets–farm fresh and fabulous, just picked! I did like exploring those a few years back in Paris, and the ones in Italy that we saw in the fall of 2012 were photo worthy as well…..plus a visit to a great open air market in Jerusalem was another treat. I need to send my daughter and son-in-law who live in Italy to check out those Parisian markets when they are there in May. Thank you so much for your postings, newsletter, and photos. I love Paris, visited 2 years ago and am planning another visit. You bring me back every day. David – thanks for the slice of life (and ham!). Love that marche! There’s a vendor who tries to sweet-talk the American girls with stories of his trips to Cali & search for an American wife. Then he up sells them on larger boxes. It works every time: I always end up having more strawberries than I need when I visit paris! Thanks for bringing us along on your market run – you’re so lucky… I’d love to see you make that cod dish, it sounds so simple but I can tell it’ll be delicious! Oh David, yes, please do clarify for Susan B, and me – has Richard Lenoir changed its days? I also thought it was Thursday and Sunday. I’ll be in Paris just 2 WEEKS FROM TODAY (Excited? What makes you think that?) and have only a few days there, before and after a couple of weeks in Bordeaux. So I need to be very targeted about what I do in Paris, and Richard Lenoir is a very favourite place. Can’t wait for the strawberries, and hoping white asparagus will have started to appear. Thanks, as ever, for a great blog and website. Sandra and Susan B: The Bastille market is Thursday and Sunday on the boulevard Richard Lenoir, and the Popincourt market, also on the boulevard Richard Lenoir (near Oberkampf, farther north), is Tuesday and Friday. Both markets start around 8:30-9, and end in the early afternoon. Excellent – nice that spring is here. An open air market, sunshine on ones face, beautiful and bountiful food. A day to behold. :) I am green with envy. My dear David, You are a self-employed ecrivain. It is your day off, and yet you are writing (apparently in pretty close to real time) about your day off? You are a generous spirit! A big ol’ rostello sandwich…and the Kings (hockey) game.That’s my idea of a little slice of Heaven on earth. I’ve wanted to try making soup with a potimarron ever since I read about it in Dorie Greenspans book. She said people have stopped what they are saying at dinner parties and listened intently if the subject of potimarron comes up. When I was in Paris I was talking with the waitress about potimarron and she was surprised I pronounced it correctly. Actually I learned from watching your market shopping video over and over awhile back! Great video — wish you would do more. Gorgeous photos as always, particularly the one of the bags at the end – lovely light, depth and colour. Which camera did you use? They look too good for an iPhone! David, so glad you enjoyed your Friday in wonderful Paris. I’m almost ready for breakfast on Saturday morning and my mouth was watering looking at the gorgeous pics of ham and strawberries. Thanks for your wonderful, entertaining posts! New garlic………same for California crop ?? We are starting to make plans for our first ever visit to Paris. I can’t wait to see in person some of the lovely images that you capture so well on your blog! They really are stunning. I grow potimarron squash here in Oregon and can testify that they are very tasty. I have one last squash on my counter from last summer’s garden and will think of your lovely market pictures when I roast it this weekend. Thanks for a lovely post…well many lovely posts! Thursdays I usually go to the wonderful, chaotic and noisy market in Ventimiglia and was on the lookout for fresh garlic but couldn’t spot any, but to my delight came across the very first delicat and grass green asparagus. I bought a bunch and then got some fresh wide tagliatelle and we had a delicious pasta with asparagus , barely melted in copious amounts of fresh butter! Utterly delicious and the first whiff of real spring! Lovely post! I just schlepped new garlic home from Europe (triple bagging it to try to avoid scenting my luggage). Besides the aioli, do you have any other suggestions for using it to its greatest advantage? Merci! David, a story on ‘Easter Lamb Cakes’ please. I have spent Easter in Avignon which was so charming. I spend at least a month in France annually. Easter is such a lovely holiday and the ‘Oster Lamele’ are beautiful, but need your touch to tell their story. Thanks! That’s right, it’s (almost) spring (in NorCal)…bring it on; open air markets with great garlic, veggies, fruits and flowers. Always ahead of the curve with your inspirations! I’ve used a mesh bag for years. You’re right, they tend to hang down if filled with anything weighty. They expand to an amazingly large size, so are great for something large but not heavy. Got my first off a discount web site, so I was a little shocked at the price when I picked up a new on in Beaune last spring. Love your reports! They’re more elaborate and informative than mine for the Union Square Greenmarket in New York, but mine is really just headlines to tell people asap what is in the market early in the AM so they can get over there if they’re interested in something. Your report and the comments that followed are making me so homesick for the markets in Paris! I’m jealous of the new strawberries and asparagus, too! Dear David, your stories oft pop into my mailbox in the middle of the night, just as I am unwinding and reading the last few mails for the day. And the stories you tell are so vivid, lively and refreshing. Tonight I couldn’t stop laughing reading of how you described the mesh bags had to be carried, and of the adventures you had with them. Lol. Thank you for writing, and sharing these lovely experiences. Hope you will have a good week ahead. It’s a cold and wet Saturday morning in Seattle as I sip my coffee. But I had a wonderful trip to a market in Paris. Thanks Daveed! the smoking exchange made me literally laugh out loud this morning. can’t wait for my french to be as fluent to allow such a snappy come back! the rest of the post is pretty great, too! In the Wall Street Journal today(Saturday), is an article on the finest croissants in Paris. What are your thoughts on this? Awaiting your new book-can’t wait! We’re in Paris for the first time from Portland, OR, and staying in the 11th. We had lunch at le Chardenoux and loved it. Enjoy your blog! That photo of salt cod is so evocative. It’s smell reminds me of all the wonderful delis that used to abound in San Francisco. Lucca’s on Chestnut used to have it in bags next to the baguettes. Lucca’s is still there but the cod and the pickled pig’s feet disappeared about 20 years ago. I’ve never actually had any reconstituted cod, though, unless it was used in codfish cakes, that have also disappeared. French television´ s morning and lunchtime newsprograms have been going on for some time about those Spanish strawberries looking pretty, costing little, lacking in taste and smell indoctrinating us viewers about the natural superiority of French growers whose products will just as naturally come at a higher price when they do come. At about the same time comes the white asparagus from les Landes in the southwest of France, gorgeous beauties which when served should be ” large and thick so ladies blush yet slack and wimpy to make every man ashamed” as I was once taught. A part de cela, why David do you carry your stuff when doing your shopping – do you find the little shopping caddies on wheels a bother? David, I love your articles. They always make me smile, plus I learn a lot, too. It still feels quite wintry here in Canada (strawberry season is the end of June!) but your book and blog have transported me to your kitchen. I have spent the day enjoying the collection of stories and recipes in your new book, My Paris Kitchen. The book is truly beautiful. Bravo David. David, thanks so much for the clarification on the two markets in Richard Lenoir – Bastille and Popincourt. And thanks to Ron for the link to the Paris markets website, straight onto my “bonnes addresses”. Love your blog and your cookbook, have never posted before but have followed for a long time. I enjoy reading about the differences in other countries. Thanks for sharing! 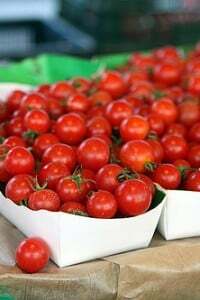 luscious tomatoes, and cane! His parents brought some of these from Sicily to MI. I did not even realize some of these would even grow here in MI. 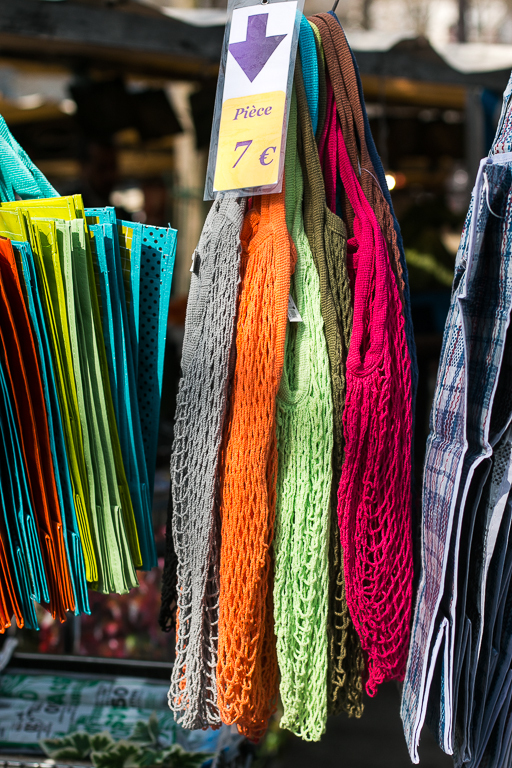 Look forward to future market trips in Paris, via your newsletter! Great blogs on paris. Have a good friend living there and loves it. Will be back in june.. We are getting Plant city strawberries in the midatlantic fron Florida but they also have no taste. The plant engineers have a lot of work to do. All the best. Wonderful post on a Parisian market. I love your photos and am curious as to what kind of camera you use (or maybe you have several). Your food shots are always excellent. talking about strawberries – i probably lost my expectations to find real stwarberries anywhere apart from my homeland which is not England… wild blueberries and straberries were the foods I grew up on – so pumped up greenhouse berries or anything grown in a fertilized farm will never ever taste even close. 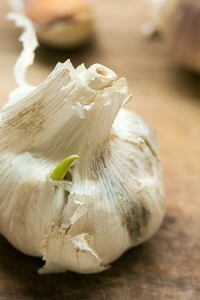 The photo of the young garlic shows them without their stalks. If you can find the green young spring garlic WITH their stalks, buy them! They are appearing now in markets in Israel. Many people use the stalks to braid up the garlic and then hang them to dry and mature in their kitchens. I use the stalks mostly when roasting fowl. Any fowl. I trim off the dry tops, and cut the stalks into lengths of several inches. These are strewn in a baking pan to support pieces of any fowl or whole fowl along with any herbs and aromatics you like. Stuff more pieces of the stalks inside the whole fowl. Add lemon or lime wedges in the pan and in the birds. You can also use the garlic stalks under other fish or meats you broil or roast to add flavor. The stalks are also good to add to any bouquet garni in soups or stews. Try eating them. But a warning – some of the stalks will cook up tender while the tougher ones will not yield to even long cooking. Try biting into a stalk and eat it if you can – they can be delicious. You could even puree the tender cooked stalks into a tasty dip. Love love love your blog! And your books!! Totally off the topic of food – coming to Paris soon, any recommendations on an agency/referral that rents flats for the short-term? If anyone would know, I think it would be you. Wow, everything looks so good . . . and it definitely feels like spring at the markets and in the air. Oh my goodness….those are the most beautiful strawberries! The fresh new garlic at my local farmers market in LA told me that spring is here. We have had strawberries all year but they are not good in winter so I generally don’t eat them until Easter – and then only when they smell ready. We get Harry’s Berries – pricy but, oh, so delicious. Last week, asparagus was pointing to spring. It was good but I was not completely convinced that Spring was actually in the schedule until the garlic arrived. I’m ready. I keep looking for eggplant and sweet corn. Try putting a few drops of basalmic vinegar on those sliced up beauties of strawberries– that’ll bring’em round..
Years ago I had a collection of the string bags you show in this post, and I, too, found the handles to be a problem. Eventually I found a few solutions: using an old handle I’d gotten attached to string on a box holding a coat I’d purchased in a nice department store. Then, I used the strap from a briefcase and hung more bags on either end of it, which I wore across one shoulder. One woman in the mall, looking as though her arms had stretched several painful inches beyond normal, demanded to know where I’d bought my straps and bags. She wasn’t pleased with my answer, poor thing. I offer these ideas in the hope they might inspire others to find, and share, even better ideas! Strawberries! All too many years ago now, we rented a little house in Il sur la Sorgue and biked around Provence with our teenaged son. One evening, after a long day on the bicycles, we were passing the market and spotted a long line snaking from one booth. Well, a long line in a food market in France is always worth joining, so we did. The result was a small basket of Mara des Bois strawberries, so delicious and aromatic that my husband deemed them “almost too intensely strawberry tasting.” When our wonderful trip to France ended, I departed with a much-dried-up M.d.B. strawberry in my pocket for the flight home, hoping that the seeds of that desiccated berry would produce something akin to those wonderful berries. It didn’t, of course, because Mara des Bois is a hybrid. Long banned for import into the US plant trade, several years later I finally scored on three plants which I nursed along into a big strawberry patch which has moved with me from city to city as we have moved around the US: the arctic midwest, high and very dry desert, now the soggy Psacific NW. 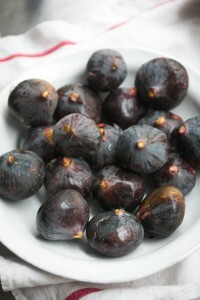 Never have those Mara des Bois produced the same incredible taste and smell that those grown in Provence did, sad to say. Soil, amount of sun, length of season are just so critical in fruit production. I persist, though, and am hoping this summer to rig something up in the garden to better replicate the growing conditions in Provence. Yes. I’m a fanatic about strawberries! I should never have read this post–as always, fascinating–with reference to gariguettes. The quest begins anew…. When the UPS truck arrives on the 8th, I’ll be waiting at the door for your latest book. Can’t wait to see you here in DC when we’ll have some beautiful produce at our markets as well.